Ah, Thanksgiving, it's coming and guess who's hosting it this year? That's right, the girl who hates to cook! Ironic isn't it? That's ok, I'll manage, but what I'm really excited about is that it gives me the motivation to decorate for the holiday! I don't usually put out too much in between Halloween and Christmas, but this year, I decided to add a little color with a little Give Thanks banner. A banner, I know, big surprise! I'm also excited, because today a few of my friends are sharing their Thanksgiving vignettes, too, so be sure to stop by and check out their pretties. You know, in case you're tired of banners. Besides, this one is different. It was super easy to make, it honestly came together in less than ten minutes. I laid out a piece of wax paper to protect my countertop from the glue. Next, I grabbed a few letters and string from my craft stash and mapped out my sentiment to ensure the proper spacing and color pattern. Lastly, I secured my round gold string by taping it to the counter and hot glued each letter to it. The most difficult part of this project was deciding where to hang my banner. It looked good everywhere I tried it! Seriously. See, this is part of my problem, banners are not just for the mantle, they are very versatile. ince this one is rather small, I added it to my living room wreath for a little seasonal sparkle. Then in the kitchen. I draped it over my existing countertop vignette. Shhh. Don't wake the pig. 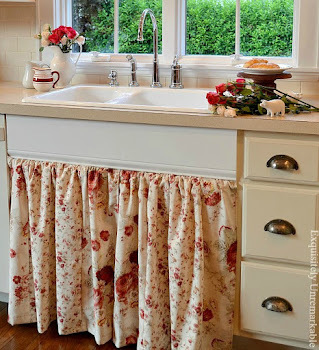 While I adored this casual styling, I decided to try it under my plate rack, against the red wall. I moved a few of my accessories over there too. Ah. Perfect. This is the spot. 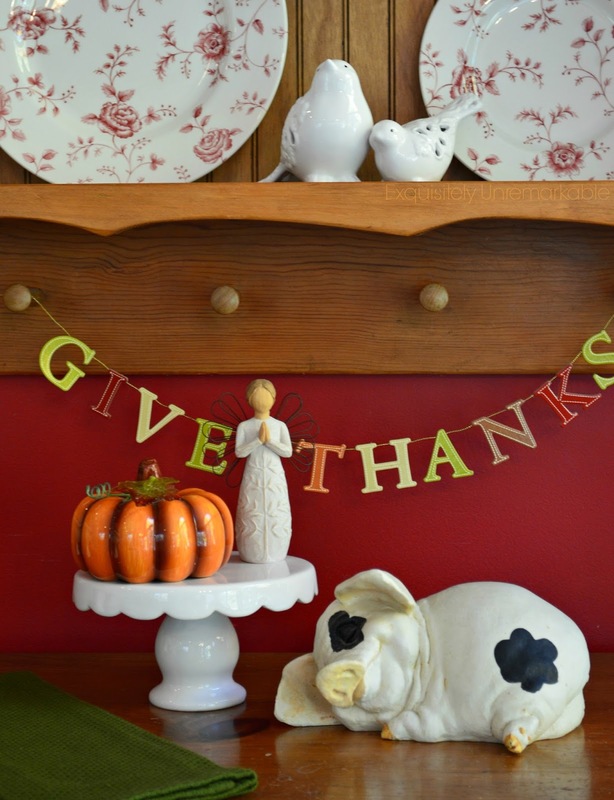 For more Thanksgiving inspiration and pretty vignettes, you must check out these talented bloggers! 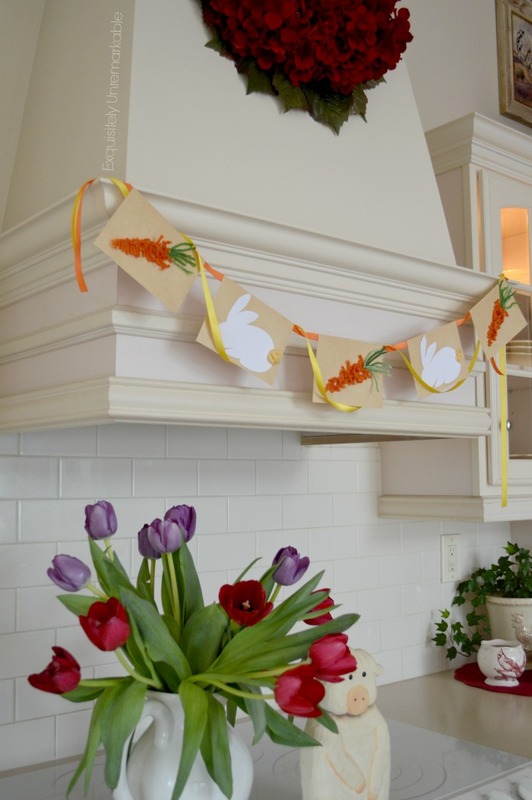 If you're looking for more banners, check out these seasonal ideas. I'll confess that I've never made a banner but yours is so cute that I'd like to! I love how you did this. 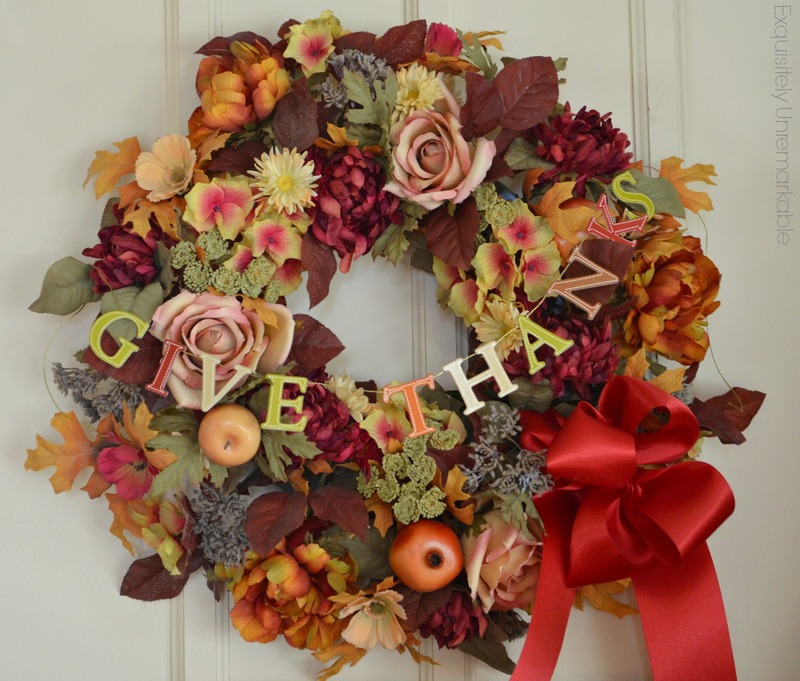 The wreath is pretty and the banner makes it perfect for Thanksgiving. I love the banner Kim! It seriously looked great everywhere. Such a simple but cute idea and it could be changed up so many ways. Thanks for sharing! I love your banner!! It is adorable. I love it! I like the idea of draping a small banner across a wreath like that. 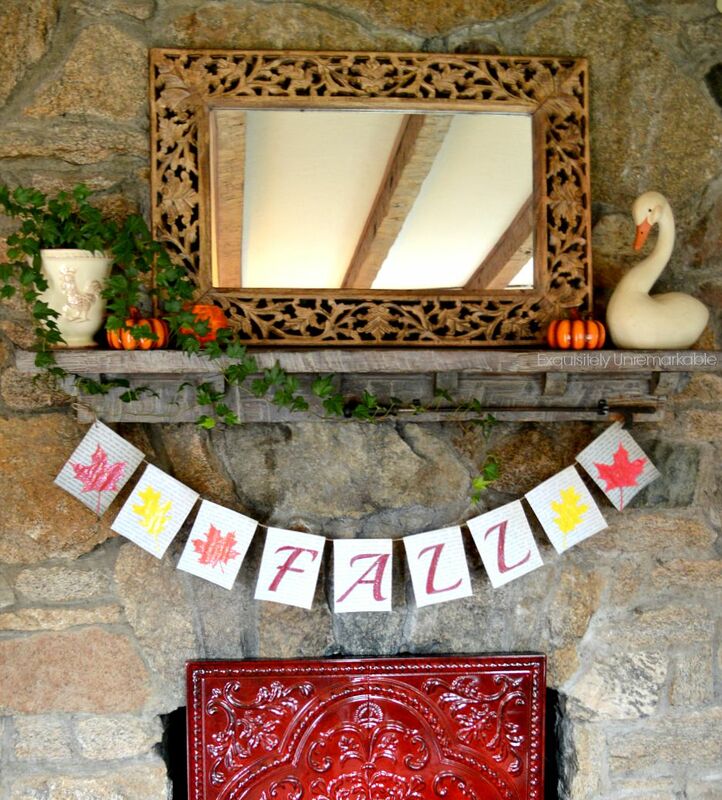 I have a fall wreath on my front door that's begging for something like this! Oh, and I have a similar pig, but he resides outdoors in my garden. His name is Wilbur...original, huh? Lol! 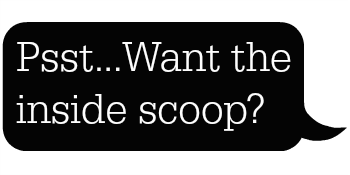 Okay, I'm off to make some coffee and check out your other banner ideas. Thanks for all the inspiration! You know, now I feel bad…my pig doesn’t have a name! We just call him “the pig”. When the kids were tiny and they used to get loud, I would always say, “Shh, you’re going to wake the pig!” So funny, they would quiet right down. We still joke about it. Even now, if I am the one who is getting…um…loud. They will say it back to me! Hmmm. Maybe he needs a name!! ;) Thanks for the visit Lisa! Kim, the banner is adorable. I have never made one but you have inspired me. Lovely! Thanks Barb! 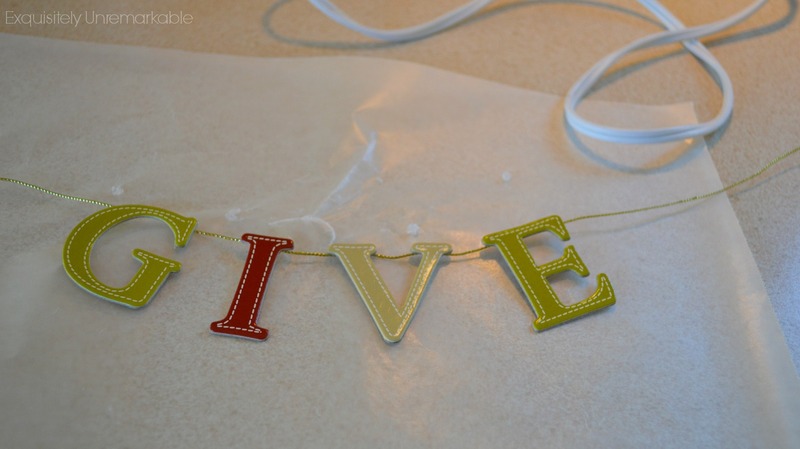 I make banners all the time, because they are so easy and I am a lazy crafter! ;) I also like to decorate my kitchen hood and it’s a quick way to do that. Thanks for the visit today and fun to be sharing along with you! All your DIY readers, have fun. Me... I love that napping pig!!!! Sweet little banner. . . . So you too! A RED letter! Happy Monday Kim. I love all your banners and the Thanksgiving is super cute. Have a great start to the new week ahead. Oh, Kim, your banner is too cute. And it was fun to see again your other banners. 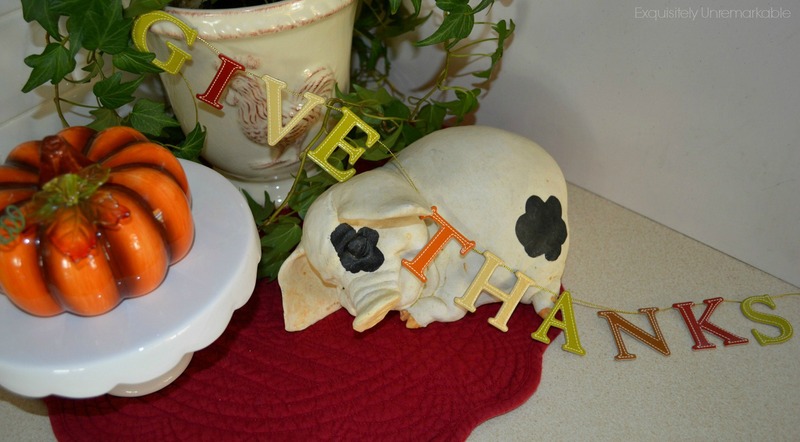 I too did a give thanks banner but mine was another paper one. I love how each of yours involves different materials and styles. Very creative. I will have to check out your friends' blog posts. Thanks for sharing the links. I wish we lived closer so I could help you with your cooking. I love to cook. Do your guests bring food too or is it all on you? My guests will bring food and my husband enjoys cooking, so it won't be terrible! ;) I love banners, Lorri, paper or otherwise. I don't know why, never made them before I started blogging. I have discovered a new outlet for my creativity. Fun! Glad you popped by for a peek! Kim, I love banners too & you're right, it is just perfect there! I love your banner & the final spot really is my favorite too. With a daughter-in-law in our family now we juggle the holidays with another family. My men have never really liked a traditional Thanksgiving dinner & I used to cook one every year just for my mom. Since she passed away, it's been far from traditional - everything from grilled baby back ribs to Popey's chicken. This year we're thinking about doing a big bonfire & roasting hotdogs & marshmallows. We all love a nice bonfire. Or we may do steak fajitas. I pinned a recipe & my daughter-in-law suggested that for our meal so I may practise it a few times & see how it turns out. She & I love Mexican food so we would both be pretty excited about it. I'm with you on not decorating too much in between Halloween and Christmas, but this year, I couldn't help it, at least in my dining room! That wax paper idea is wonderful, thank you from my floors and tables Kim! 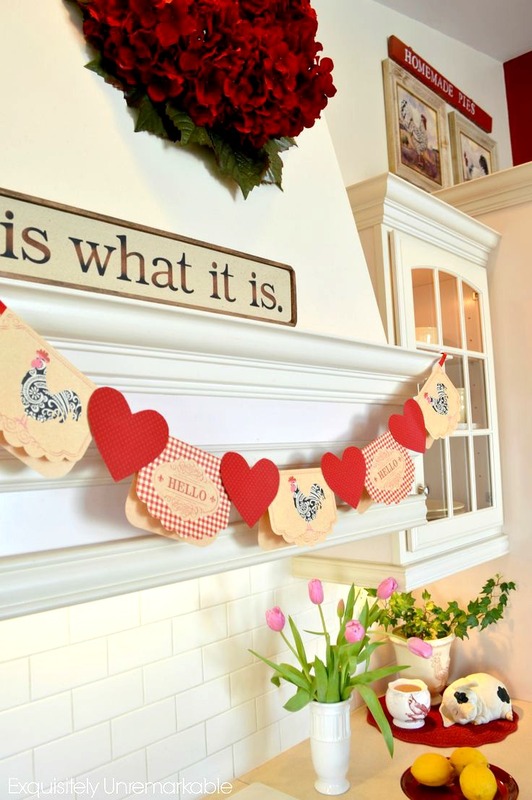 ;-) Love the simple garland you made, goes anywhere! This banner is so adorable and I love the fall colors. I like the fact that your banners are never complicated so that I can make them! :-) There always seems to be a perfect place for a banners. 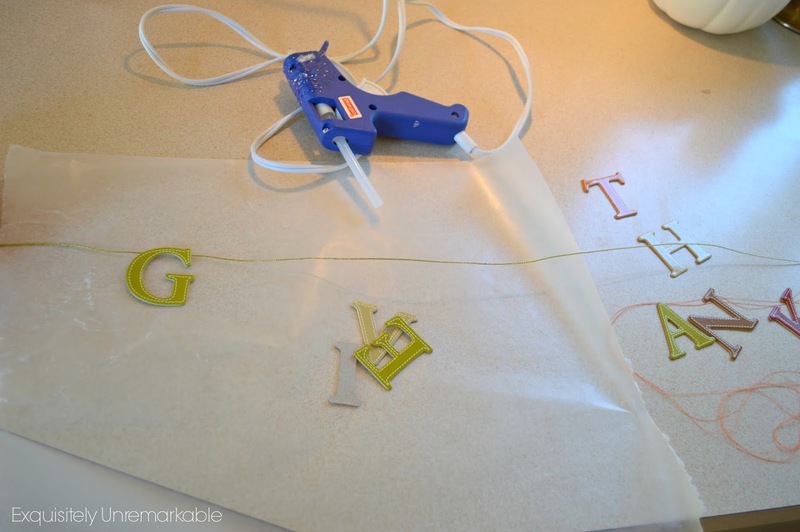 Surprisingly, banners are the one craft project I can make and usually don't run into any problems...well, except for trying to decide what colors to use, where I want to hang it, what I want it to say....LOL Hugs!! Thanks Benita! They certainly are all the rage right now and I enjoy using different materials to create something new. i liked it in all the places you put it. before i saw where you wound up with it! it's like when you try on dresses. you KNOW when it's the one! LOLOL. of course i can't remember the last time i wore a dress. but I remember that delicious "knowing it's the right one!" You ARE the banner girl! Well, I think you totally "rock" those banners, Kim! You were so right, it did look cute in all the places you shared. I love banners, too, and they can be any size. Good luck with your Thanksgiving dinner! All of your banners are fabulous! I just love banners but I think I only have one. It's bunnies so I have to wait till Spring! They are so easy to make, I don't know why I haven't made more!! You made the cutest banner and it looks great on the wreath you made! This is super cute, Kim! I'll never get tired of banners and I love to Pin them. SO many ideas! Wondering where you found the letters. They're just so easy to make and they change out and store like placemats! Thanks for the visit, Maria. Thank you for the tip and tutorial on making this adorable banner! Love it! I love the banner and I love the last place you hung it the best, you are right...it stands out well against your wall, which I love too! It was fun looking through all of the other banners you have made too! Oink is right! I love that little guy, a totally whimsical purchase made years ago...and so worth the $11 I paid for him. You make me want a whole bunch of craft stuff at the ready so I can run down and duplicate your super easy adorable ideas!! Yet when I went to Michaels the other day I got totally overwhelmed with all the choices and couldn't deal!! Perfect!! I love banners. They are fun, easy, and add so much to the season. Each and every banner you've made Kim is beautiful and this one is no exception! So pretty! I never tire of banners! Just made a new Christmas one and started a second. :) Yours are always so cute. 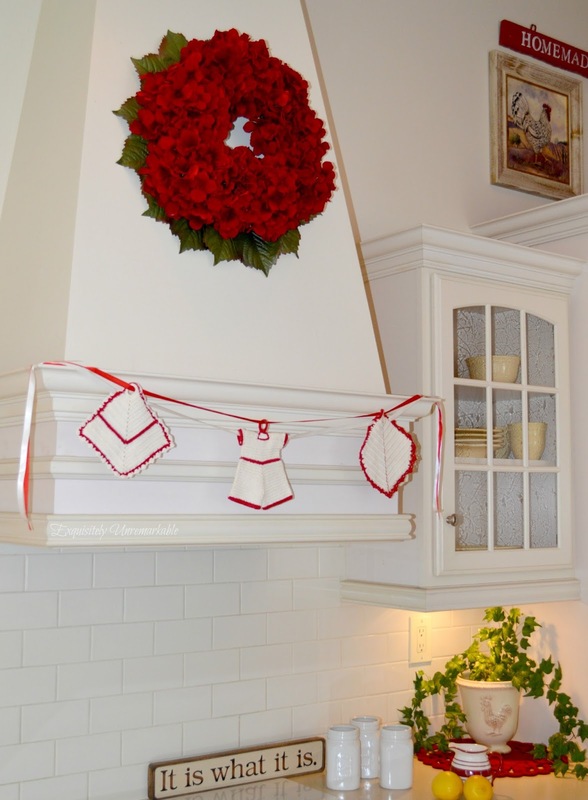 Especially love the potholder one! Have a wonderful Thanksgiving!! Thanks Jann, I love that potholder one, too! :) Happy Thanksgiving!! 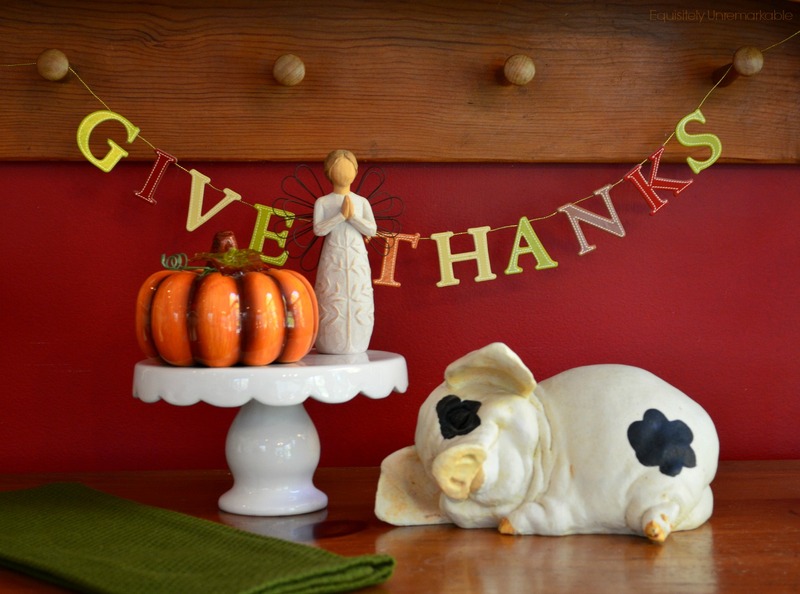 Sharing your adorable banner and wreath tonight to wish everyone a Happy Thanksgiving and Kick off the PARTY! Thank you so much for sharing! You are of course, Featured. Pinned, G+'ed and Tweeted! Theresa @ Shoestring Elegance and the What to do Weekends Party!